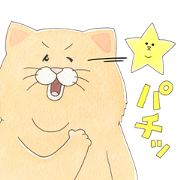 Nekonaughey has taken Twitter by storm and now is teaming up with LINE Points for a special sticker set! Check out how to earn and use LINE Points to get the set for free. You’ll even get a few Points too! Expiry Date : Available till April 17, 2019.